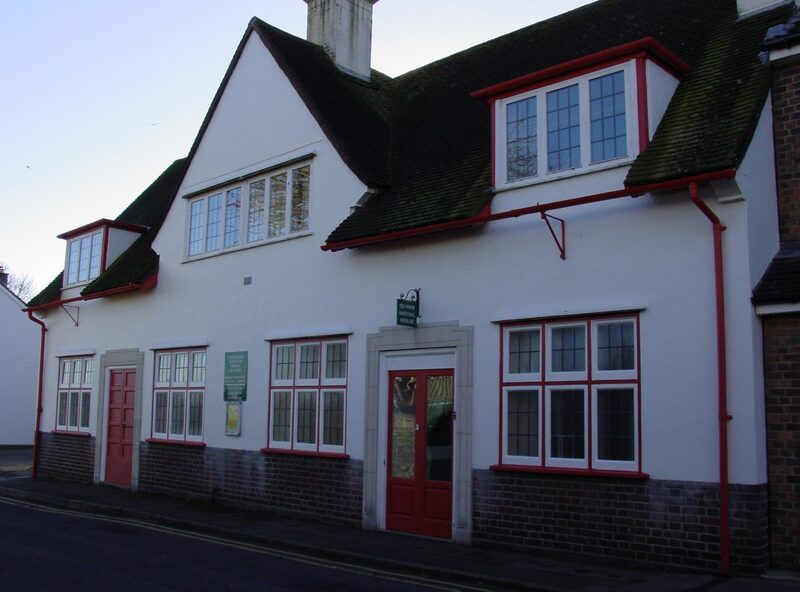 The Religious Society of Friends, Quaker Meeting House, 8 Holloway Road, Dorchester, Dorset, DT1 1LF. A group of about 25 to 30 Quakers attend our regular 10.30 Sunday Meeting for Worship. Our worship is mostly silent and lasts about an hour . The mid week and early morning 4th Sunday Meeting last for half an hour. We are often known as Friends, our full name being The Religious Society of Friends but most commonly as Quakers (it is a 300 year old nickname that we are happy to use). We believe that each one of us is on our own spiritual journey, we are seekers. We hope to be inspired by our Quaker faith to live better lives in the world. Many Dorchester Quakers get involved in and support campaigns working for Peace, Economic Justice, Equality and Sustainability. You don’t need to be a Quaker to attend our Meeting for Worship. The first Quaker Meeting House was on the north side of what is now Colliton Street, Dorchester, when that street was known as Pease Lane. It was a cottage, purchased by the Quakers in 1712 for £44.8s.0d and needing some alteration. It had a nearby burial ground where 8 Quakers were buried between 1715 and 1739. The Meeting House was repaired in 1723 and a larger room for meetings created, work that was overseen by William Herbert on behalf of the Quarterly (Regional) Meeting. He was a very diligent Weymouth Quaker. Numbers must have fallen quite rapidly and Dorchester Meeting closed in 1740 but a small Meeting continued in Charminster. One Quarterly Meeting a year was still held in Dorchester until 1749 but was so poorly attended that it was then moved to Sherborne. Weymouth Meeting struggled on until William Herbert’s death in 1759. For nearly 200 years there was no Quaker witness in Dorchester and Weymouth until the 1940s, when a small group of Dorchester Quakers began to meet. In 1979 their numbers had grown enough to purchase the present building in Holloway Road, Fordington. It was converted into a Quaker Meeting House, having previously been a busy public house called the Union Arms. The Weymouth Meeting has also restarted and a small group of Quakers currently meet for Worship twice a month in hired rooms at Weymouth Community safety centre.